Cream-cheese Pound Cake: Preheat range to 350 levels F (180 levels C) and place range rack in center of oven. Butter and flour (or spray with a non stick squirt which contains flour) a 10 inch (25 cm) bundt cooking pan. In a large bowl, sift collectively the flour, cooking dust, cooking soda, and salt. 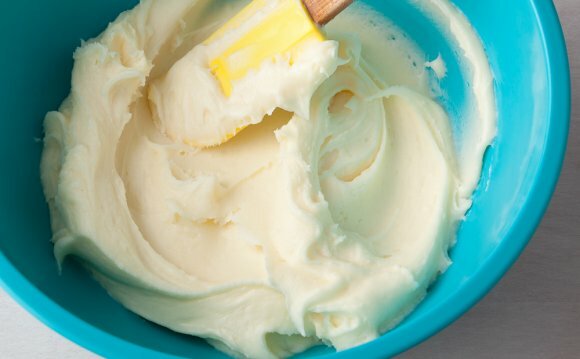 Into the bowl of your electric mixer (using the paddle accessory), or with a hand mixer, overcome the butter and cream-cheese until smooth. Gradually add the sugar, scraping along the sides of the dish as required. Resume beating on medium-high rate until light and fluffy (about five full minutes). Include the vanilla and lemon zest and beat until incorporated. Include the eggs, one at a time, blending well after each and every addition. Clean along the sides of this dish as needed. Add the flour mixture, in three improvements, and blend simply until incorporated. Pour the batter in to the prepared cooking pan and smooth the utmost effective. Bake for approximately 55 - 70 moments or through to the dessert is golden-brown and a toothpick inserted inside center happens clean. Remove the dessert from oven and put on a cable rack to sweet for approximately 20 - thirty minutes so it features time for you set. Remove the dessert from the pan in order to complete air conditioning. This dessert keeps about 3 to 4 days at room-temperature and about one week in fridge. Can be frozen. Helps 12 - 14 folks.